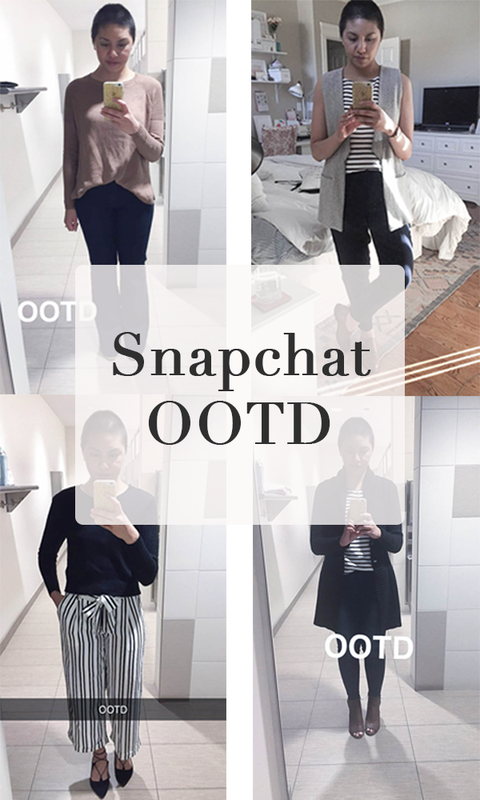 As promised, I am sharing the outfits that I have posted on Snapchat. 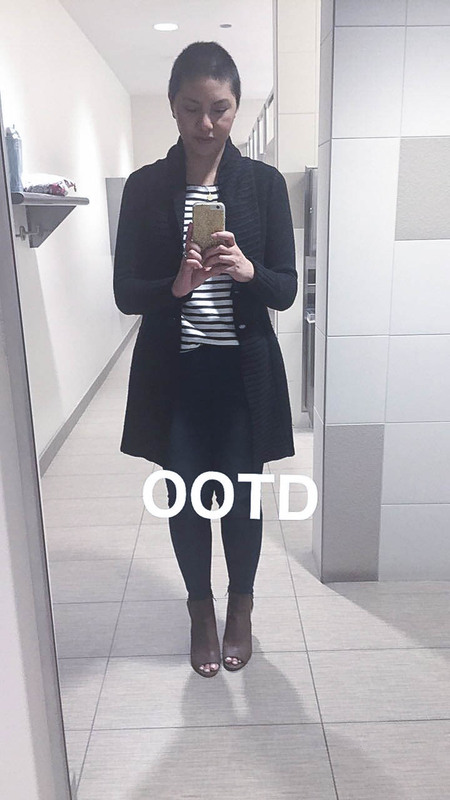 Whenever I am in the office, I like to showcase my outfit of the day aka OOTD. 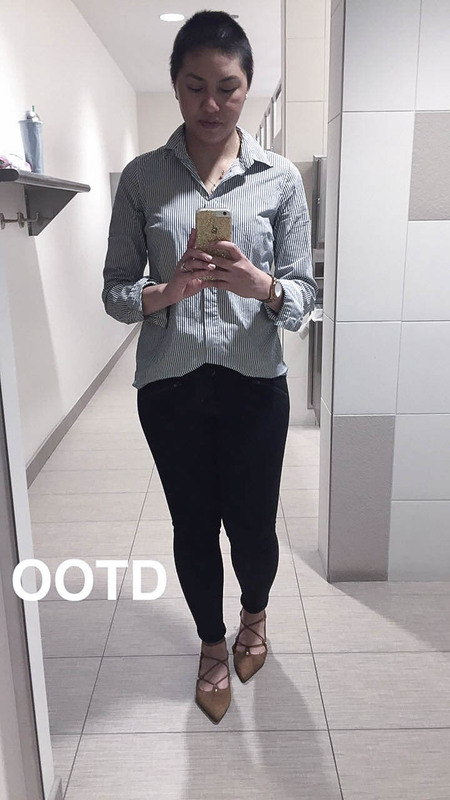 I am typically in the office twice week and occasionally I share my OOTD during the weekend.This will be a biweekly series and will share it every other Sunday. That way if you missed it during the week, you can catch them here. 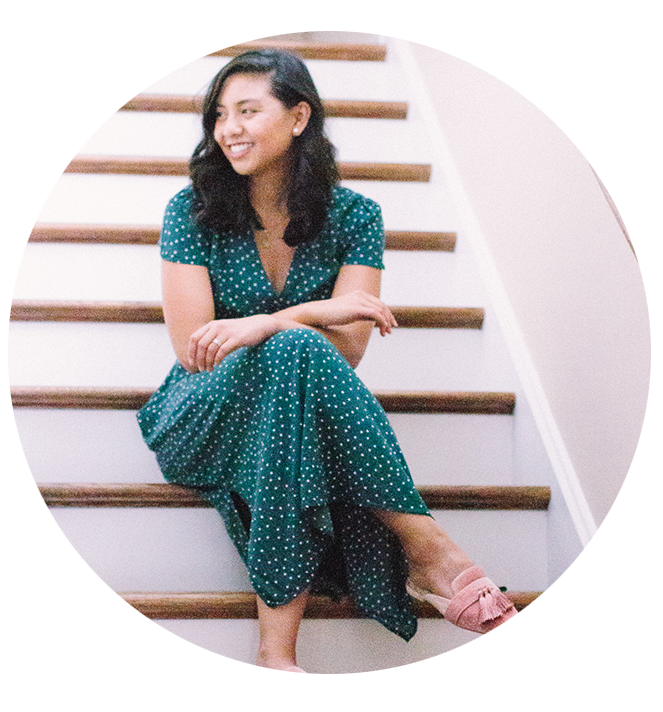 Plus, it is a great opportunity to share my outfit details since some of you have been asking about them! 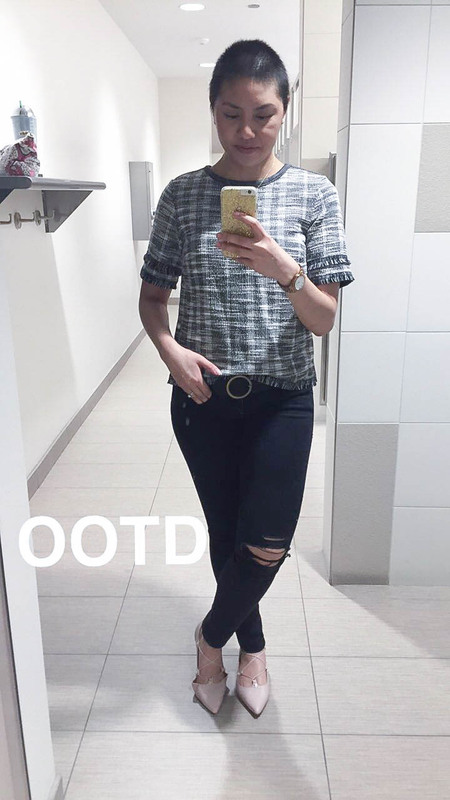 I also think sharing my Snapchat OOTD is great way to show you guys the growth of my hair. Not sure if you can tell (because my head is looking down in every pic), but there has been a significant growth! It’s much more full and thick. I think it would be fun to see how much my hair has changed. Also, I’m starting to get more and more comfortable with my ‘new body’. There has been some changes (and may be I will go more into that in another post), that it took me awhile to feel comfortable. I think now that I understand my new body a little bit more, I am feeling more confident in dressing the way I want to be. Hope you guys like the new series. 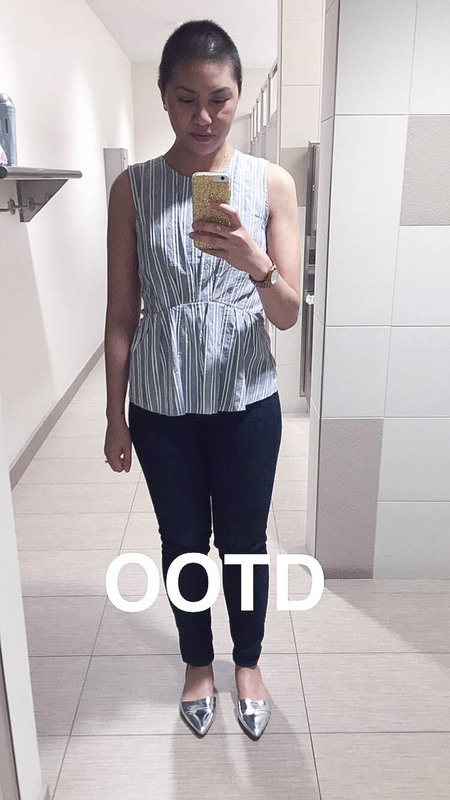 Feel free to follow me on Snapchat (username: rdsobsessions) if you want to see these OOTD in real time or just curious what I snap out. Warning, I don’t live an exciting life haha. But I do like to snap when I go in for treatments haha. I love playing with those filters! The nurses probably think I am crazy. Happy Sunday! Thank you so much Eva! I can't wait to see how it grows! Hey girl! 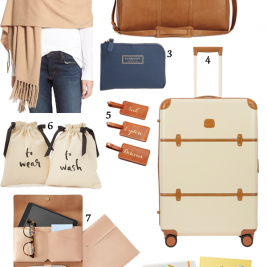 I love your use of neutrals for fall… so many great looks!! Glad to learn that you are more and more comfortable and hooray… great news about your hair!!!! Keep shining with beauty and strength! Thank you so much Salihah! I am so excited to have my hair back! Hooray for growing hair! 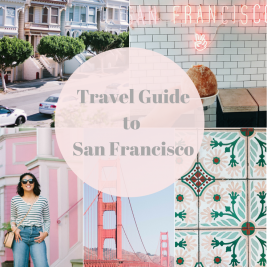 🙂 Our most faves in your outfits are the gray vest, lace up flats, and distressed jeans. You look fab in all of them! Thank you Teelie! 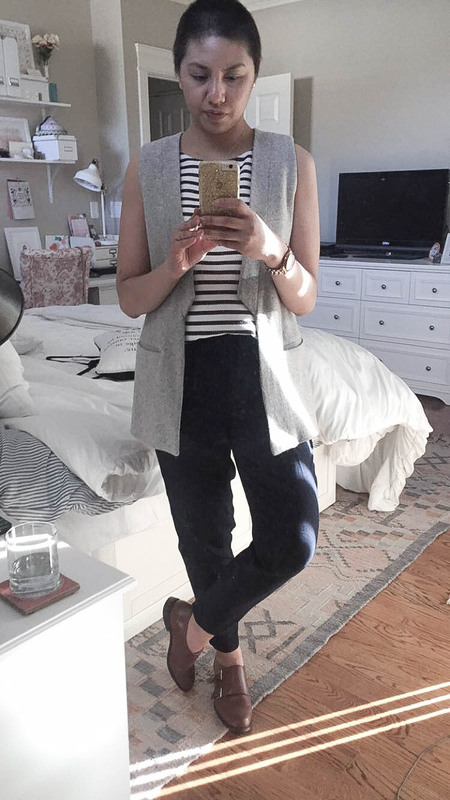 !I do love the gray vest. It has been a closet staple! Yay I can tell your hair is growing too! Seriously love all of these outfits, I want to wear them all to work! You have such a great style! 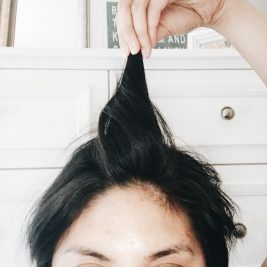 I've definitely noticed that your hair has been growing!! It's probably going to be really neat to look back at these posts, even a month from now to see all of the changes. Loving the outfits, too. I especially love that last one! I am not on snapchat dear but I gotta say am digging all your #ootd especially the one with the peep toe boots and the sleeveless coat. Your hair is growing at an alarming rate and you are looking healthy day by day, am so proud of you dear and I can't wait for that post you have mentioned so that I can keep up with everything going on in this journey because am with you in spirit. Aw thank you so much Meron!! 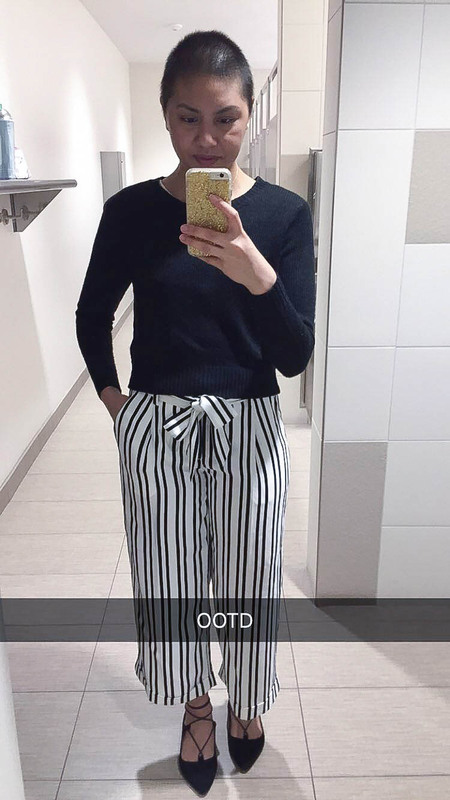 Such cute OOTDs! Love it! You hair is looking amazing babe! I can't wait to see how it grows out and follow the progression. 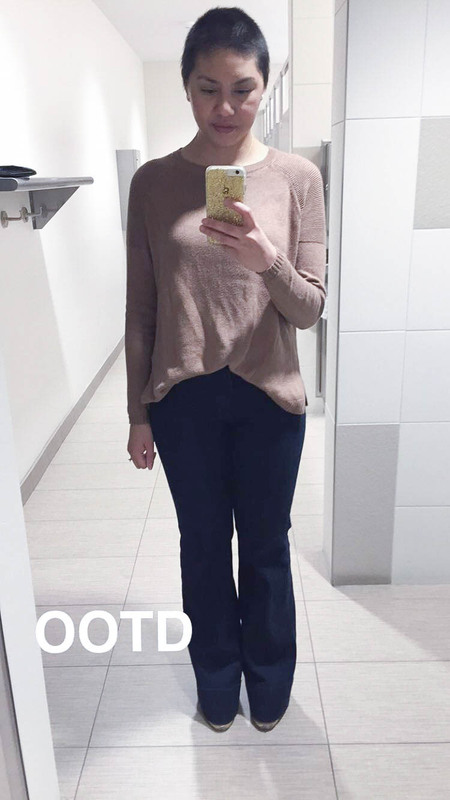 Loving this OOTD series you've started! So effortlessly chic in every photo! And I am obsessions over those silver D'orsay flats!